Tessa is stuck in a dead-end job at Party 2 Go–at least she’s still in party planning, right? Even though her boss rarely asks her opinion and all the parties are cookie cutter kids parties. She dreams of planning gorgeous weddings, engagement parties, and etc. But instead she’s cleaning up mashed hot dogs, wearing a disgusting dinosaur costume, and driving an oversized hot dog van. 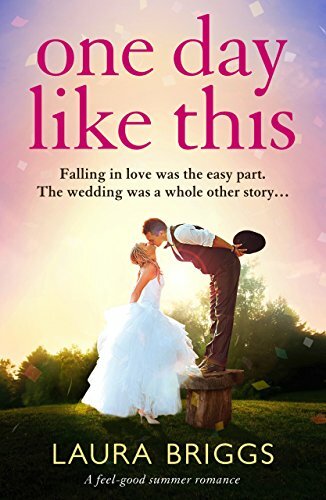 Fed up with her life, Tessa quits her job and forms a partnership with four other people for a start-up company–a one stop wedding shop. With her best friend, Natalie, an unconfident dress designer that designs gorgeous clothes–Natalie finds her confidence. Natalie’s confidence is low due to her former employer Kandace, the worst designer in Atlanta. Kandace tears Natalie down at every opportunity. Ama, an internet baker who works out of her family’s Indian restaurant. Ama is being pressured by her family to find a “nice Indian boy” or to “take out an ad” in order to find a husband. Something Ama has no interest in. Ama wants to have the romance and fall in love–not have an arranged marriage. Ama gains her confidence to tell her family that she wants to be a baker full time. Stefan, the four partner who backs out at the last minute for a job in Paris–leaves the three girls in a dire situation. Tessa hires Blake Ellingham to help her repair the storefront historic home that houses their new business. Tessa needs Blake’s help in order to repair her business. Will he help her? Why does he keep working late hours on the building?